Excuse me for being blunt, but I sometimes think that 90% of the human population has no idea what ethics are. What happened to the days when men opened a woman’s door or a child helped an elderly person across the busy street? Yes, there are still ethical people, but I think that they are getting lost in the crowd of immorality and greed. Ethics are rules of human behavior that are based upon the moral principals of what is right and what is wrong. So I may be in the wrong myself in stating that people are unethical because it actually is determined early in life by what they are taught. For example, a person who was raised in Iraq will surely have different moral values than a person raised in Canada, the United States or Russia. But, there is a common moral standard that we do not kill or harm others, and we use the Golden Rule. Being ethically sound is not difficult, but it does seem like a puzzle for many people. In today’s post, I am going to talk about ethics in network marketing. I believe it is an important subject because I think that it is unethical behavior that has damaged network marketing as a whole. If we teach our downline proper ethics, and if MLM companies stress ethical behavior, network marketing can have a huge image change, which is needed drastically. 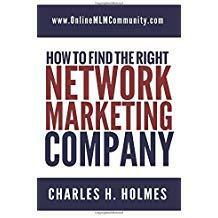 When I read negative reviews and views of network marketing online, I discover that the primary reason the person has entered the attack mode is because they have encountered unethical people in the network marketing business model. Now don’t get me wrong… There are unethical people in traditional business structures too, but they normally do not stay in business long because their business is shunned. What happens in network marketing is: when a person is treated unethically, they assume all network marketers are the same. They do not differentiate between the people or the businesses. In their mind, they are all the same, instead of separating them like they would traditional businesses. We will have a difficult time changing that form of thought, so the best change we can make is the way distributors are acting. We will never completely wipe out bad ethics, but if we can stop a majority of it, we do have a chance of changing the overall opinion of network marketing. Below, I am sharing the top 17 ethics to abide by in network marketing. If you have more you would like to add, feel free to comment at the end of this post. Please share this with your downline and use it yourself. After all, they will do what you do. I see this common unethical behavior all the time. As a matter of fact, most of the readers of this blog know that I am involved with a MLM Company, but they feel a need to try and “steal” me away. Now don’t take me wrong, I have no issue with hearing about the opportunity and a statement like, “if you ever are looking, we are here” is fine, but the majority are trying to get me to quit and join their business opportunity. It is wrong and unethical! If you are doing this, STOP! This is similar to stealing but normally happens within the same MLM company. It is usually a case of a person belonging to two MLM Companies (which is often against the rules), and they try to get people in the same company to join the other company. Normally, working two MLM businesses is a means to fail at both. You are actually “stealing” from the MLM Company and the upline of the person you are sponsoring. Again, DON’T DO CROSS-SPONSORING! It is stealing. Tagging everyone on your friends list with your business opportunity is a sure way to lose a lot of friends. If you want to post it fine, but don’t tag people. Better yet, start a page that is geared around the niche. Leave the defaming tactics to politicians; there is no room for that behavior in network marketing. Sure, you may not like the company or how the representative works, but by using defamation, you make yourself look bad, your company look bad and network marketing as a whole look bad. I believe this ethical operation needs to be understood by all humans. It behooves me when someone will tell another person to do something one way and they turn around and do it in the opposite fashion. This is a common problem with many humans; let’s change that issue with network marketing. I see this often too. As a matter of fact, I have felt it. I will not mention the company or representative, but to say that I will probably die young and broke because I didn’t join his opportunity made me feel like bloodying his nose. And, I actually had an attitude against that particular company because of his actions. I have since learned that it was his own stupidity and not the company’s. When you have an appointment, don’t be 5 minutes, 10 minutes or any minutes late. There are crazy things that happen, I understand. If so, use your phone and explain. But keep crazy things to a minimum. If you receive personal information about a person in your business, it needs to stay private. It is that simple, and it really doesn’t matter what the information is, keep it to yourself. When you promise something, make sure and honor your word. If you are not sure if you can do it, don’t promise. This goes right along with the Golden Rule. 10: Are you just in it for the money? While money is important, there is more to life. If you get into network marketing just for the money, you are apt to get a huge letdown. This is another very important aspect. If someone asks you a question, be honest. If you tell a little white lie, you will have to cover it with another lie. Sooner or later, they will discover the truth and your reputation will go down the drain. This has been the downfall of some MLM Companies. Unless you have a statement from medical authorities with proof to back it up, you cannot say the item you are selling will cure any diseases or create medical miracles. This just makes good business sense, but many network marketing sponsors just forget about their downline and leave them to fend for themselves. And then they wonder why so many of the people they sponsor quit. When you show other people respect, they usually will show you respect. It doesn’t matter if it is the President of the United States or a guy begging in the subway; show them all respect and you will gain huge rewards from doing so. This is another Golden Rule law. This ethical must is broken all the time by network marketers. And it is a reason many people have negative thoughts about network marketing. Just be straight forward and honest. You may not get as many sign ups, but the people that do are more likely to stay on board. When network marketers use this tactic, I feel like vomiting. It is completely unethical. Plus, if you do catch a person, they probably will leave because they need a job; not a business. It is wrong and if you are using this tactic, please STOP! It amazes me how many network marketers have never read the rules of the company they signed with. The fact is, you should read the rules before you even sign up with the company. I have watched network marketers get kicked out because they broke rules that they would have known if they would have just read the rules. I believe so strongly in the 17 ethics I put here today, that I must strongly urge you to share these with both your downline and your upline. If we all work together, we can change the negative attitudes of network marketing. 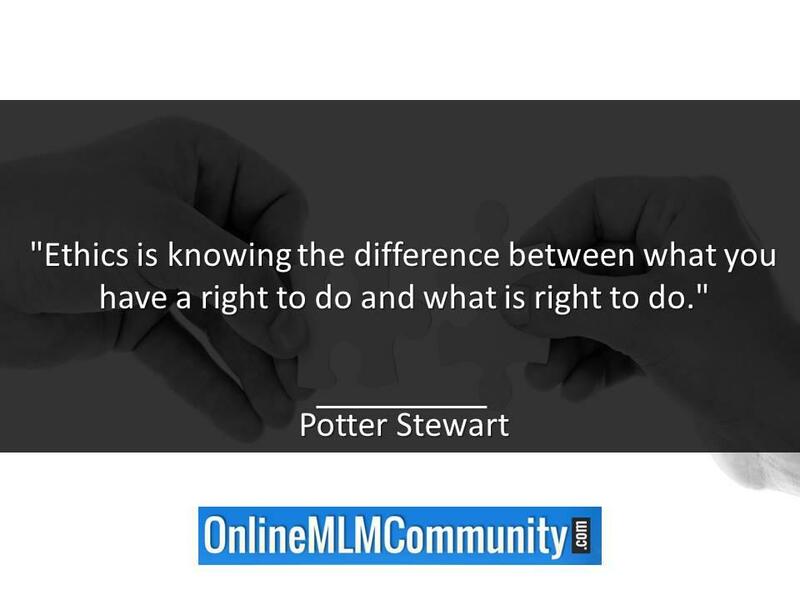 What do you think about ethics in network marketing? Do you have any comments? Questions? You can post them below. Thank you for visiting. Next Next post: Start Your Own MLM Company: Should You Do It?